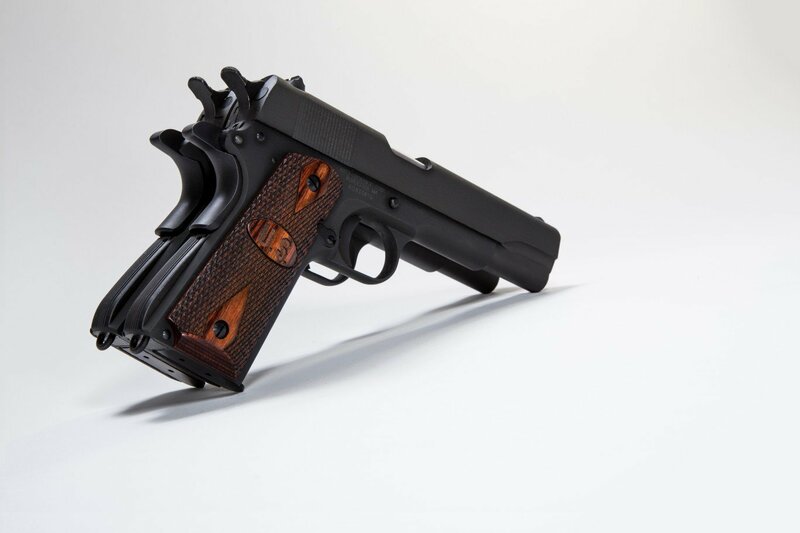 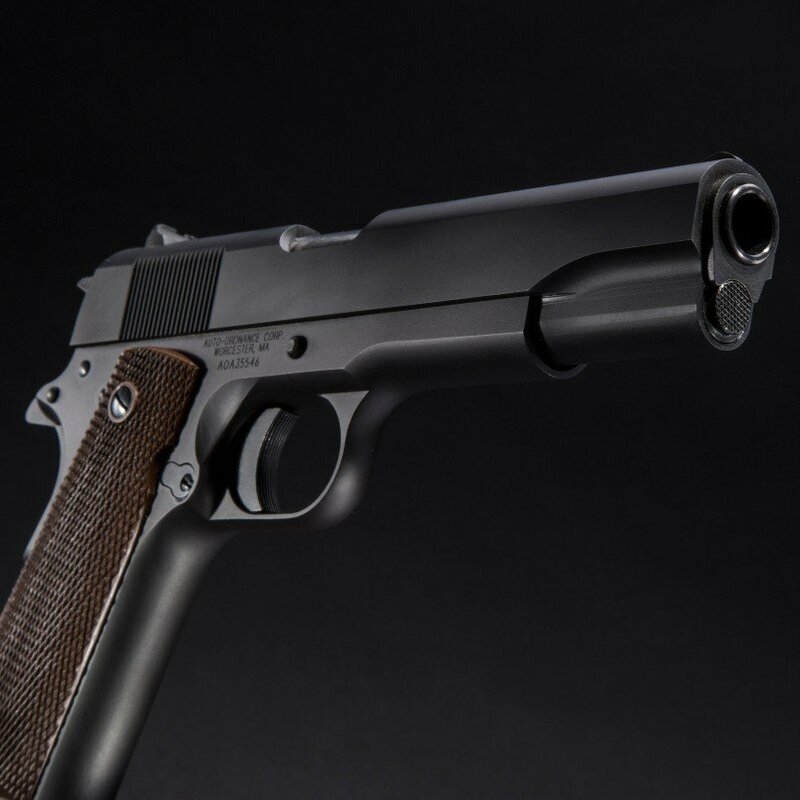 Auto Ordnance 1911 Pistol - Auto-Ordnance | Original manufacturer of the world famous "Tommy Gun"
This model 1911 pistol is chambered in .45 ACP, has a 5” barrel, 8.5” overall length, and weighs 39 oz. 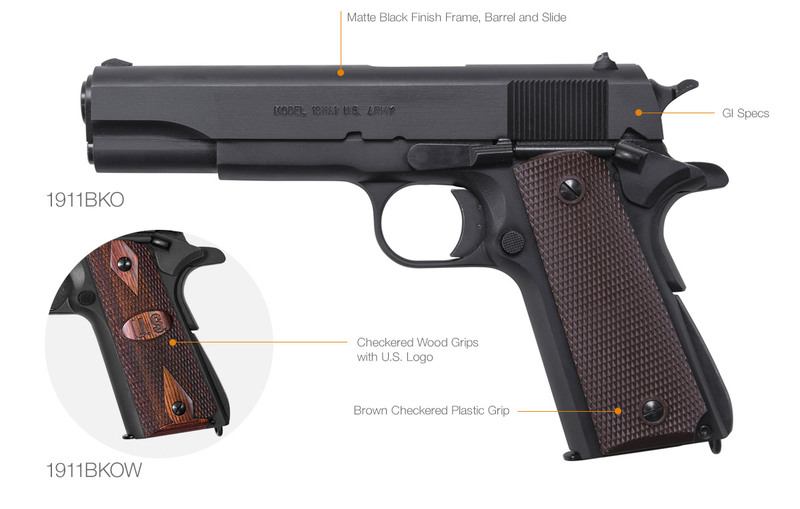 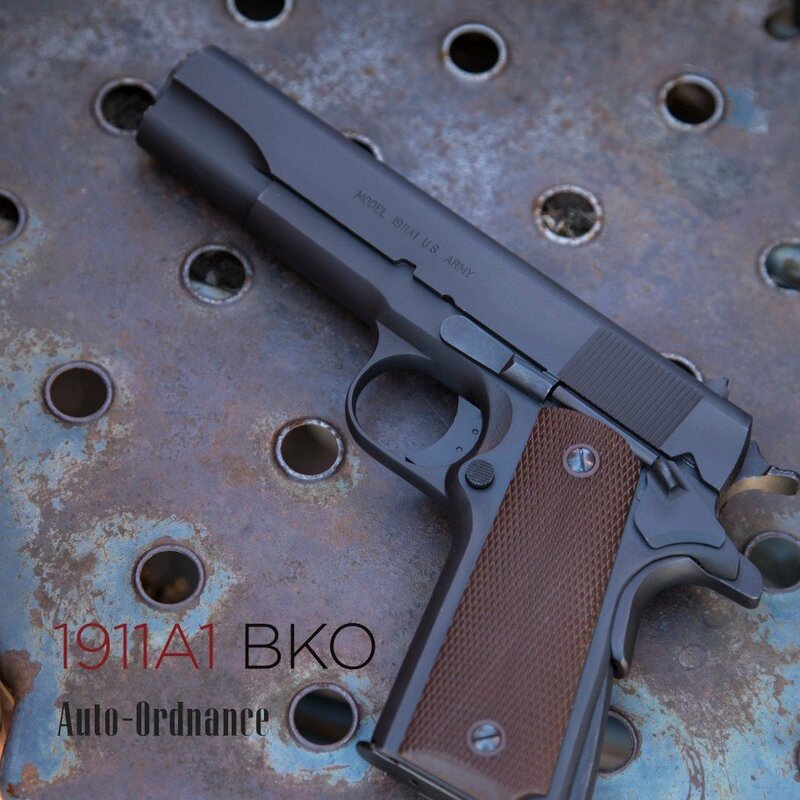 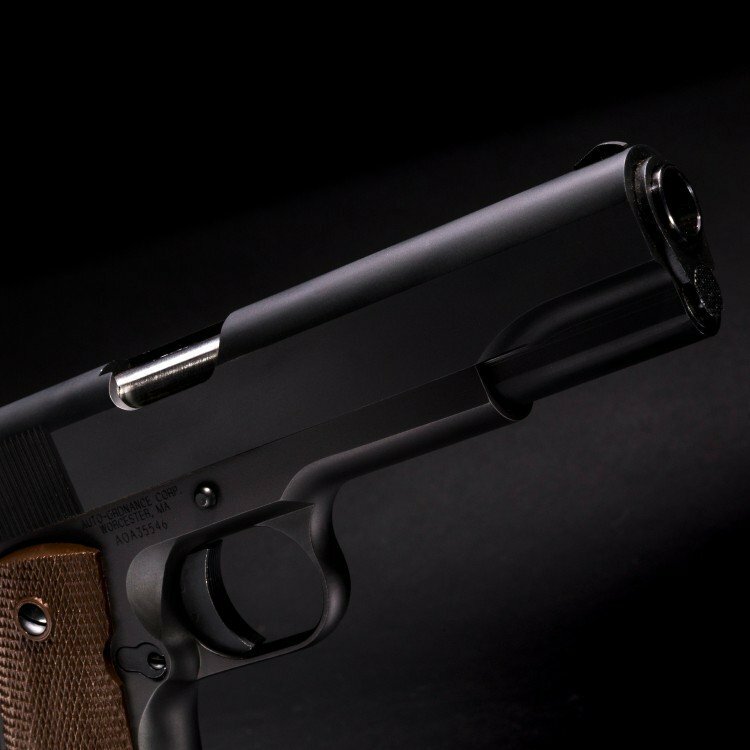 The 1911BKO is 100% made in the USA, and ships with one 7-round magazine. 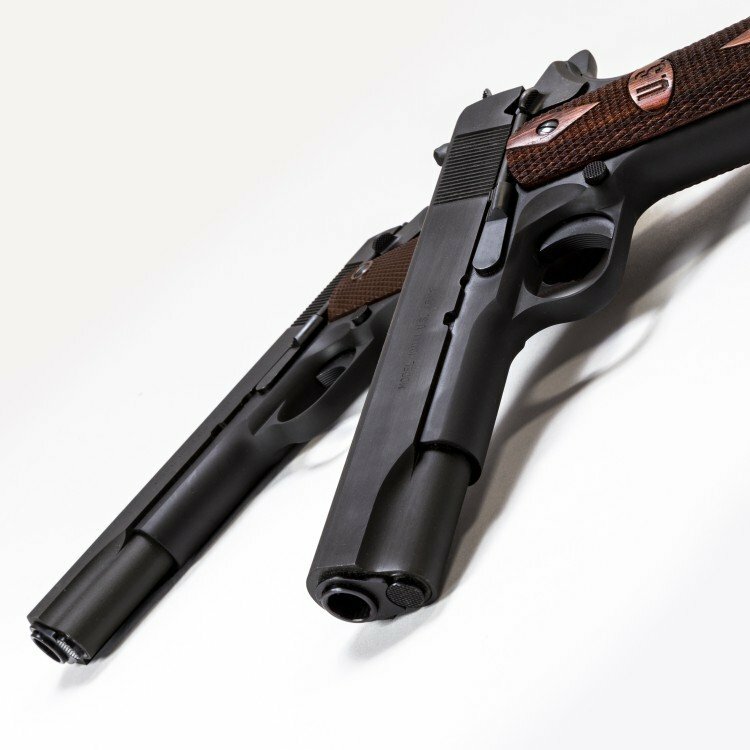 The BKO has a thumb safety, grip safety, and firing pin block.